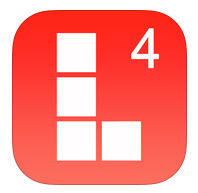 Reviewed by Wendy What it is: [From iTunes store] Letris is one of the most popular AppStore word games. You have to build words to keep the screen clear and empty for as long as possible. It’s based on a simple idea that will keep you hooked, encouraging you to go on to the next level and beat your own record. 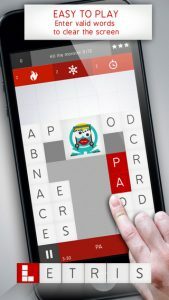 What I love: It’s easy to get addicted to this word game, which takes its name from the mix of “letters” and the game “Tetris.” Letters fall from the top and you have to build words as fast as possible, earning more points for longer words. There are different game modes (try normal, hard or extreme! ), and you can play in weekly tournaments or against friends. You can actually learn languages by playing, even playing in two languages at once! Share your score on Facebook or Twitter if you’re really good. With the different levels, this game is great for kids and adults. Best of all, the app is free! What I would change: I wish there was a way to play it on my desktop. It’s a bit difficult to play on my iPhone with adult-size fingers!